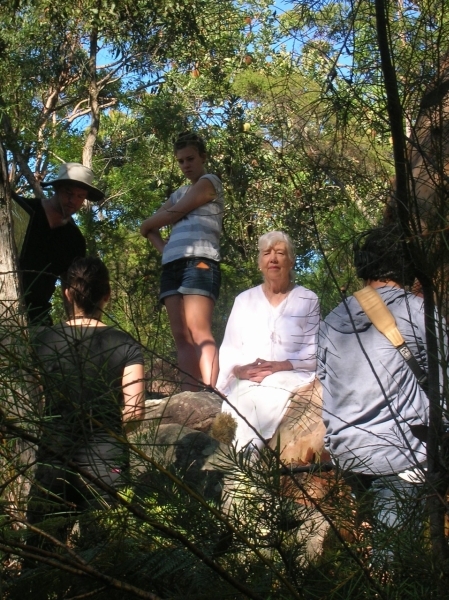 We have been on another film shoot this past weekend – continuing work with the film crew for the Documentary Wiritjin, a word used to describe a philosophy of Blackfella – Whitefella Dreaming, together. There was a mystical feeling when we first walked into the area of Kariong where all the stories are held. Image in the mist looking like a spirit. 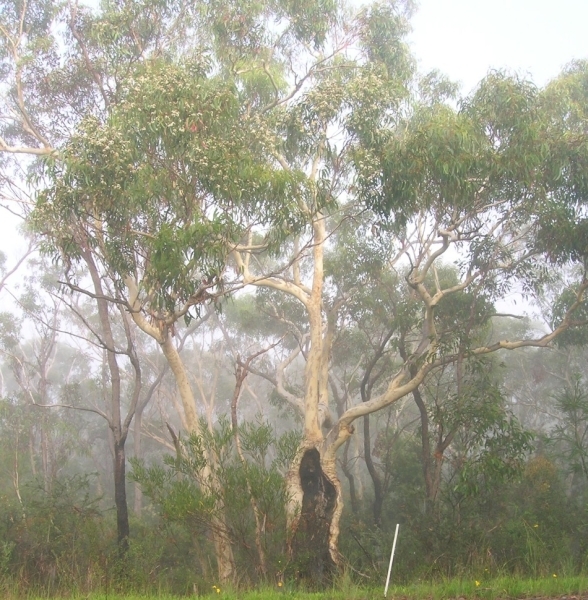 “Alcheringa” the spirit ancestor of Creation spoke to us while I was sitting under the sacred Grandmother Tree – a guardian to the site of the Ancient Egyptian Heiroglyphs at Kariong, near the Kuringai National Park. This has happened and we have learnt that a Mission of 50,000 star people had come from the Pleiades on a huge mothership known as ‘Rexegena’. The plan was to establish a community of Light Beings on this planet to hold a raised energy field here and lift this very dark corner of the galaxy – 900,000 years ago. The plan was thwarted as the mothership was attacked and blown out of the sky leaving only 90 survivors. They managed to escape by smaller surveillance ships and landed in the area known as Kariong. Their newly born children did not survive in the harsh atmosphere so they resorted to blending their DNA with birth mothers of the existing upright-walking ape-like creatures. The new babies were enchristed aboriginal children who evolved with larger skulls, less hair on their body and advanced psychic abilities inherited from the star people. They became people who saw God in everything. Alcheringa (or Alchquaringa) had been the commander-in-chief of the Mission. He lost his life then, but his spirit has gone on to care for the first humans ever since. Photo of me under the ‘Grandmother Tree’ – hundreds of years old. With me are the film crew – Olivia Olley, (director, writer, and producer); Gavin has the camera and Ben is on sound. 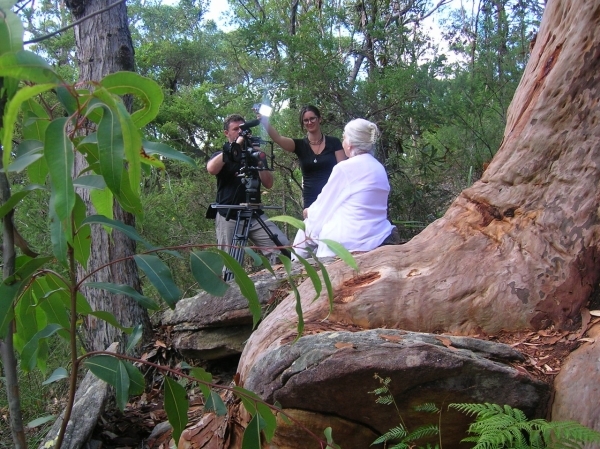 Another view of Valerie sitting at the Grandmother Tree and the film crew at work. 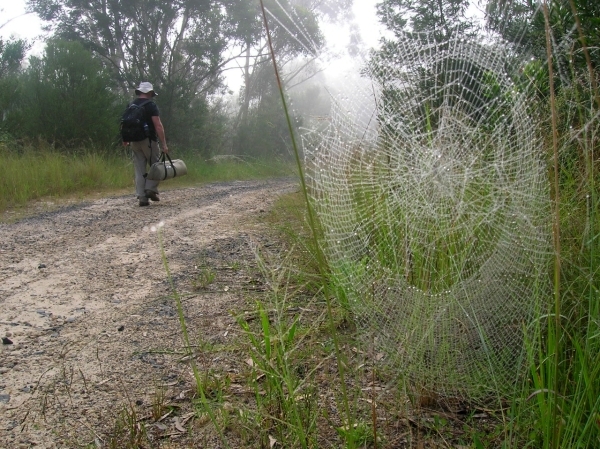 As Alcheringa spoke to us he advised that the area at Kariong was very sacred and held much secret knowledge that was understood by the Tribal Elders. 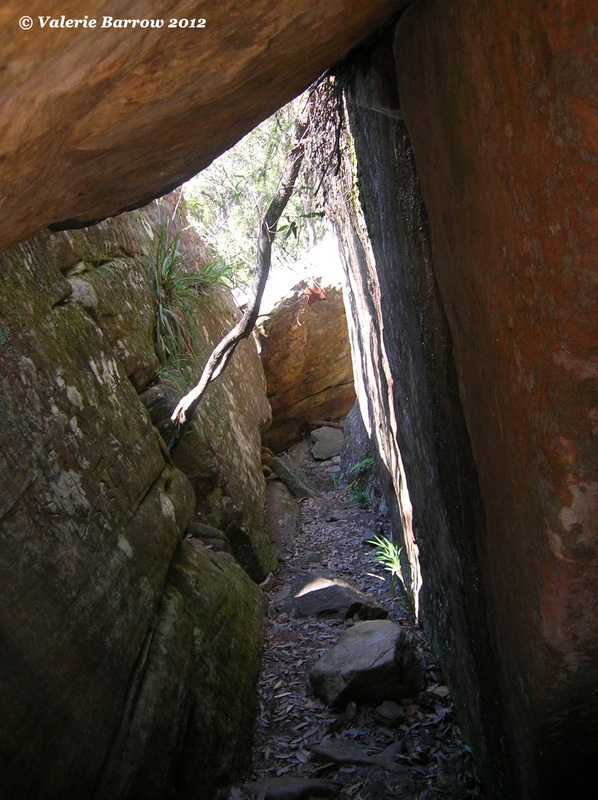 Their Rock Art was drawn images that held a story telling of this knowledge – recording history down through the ages. The knowledge of past history is not written in books but rather it is within the consciousness of everything that is upon this earth. Everything here comes from somewhere else in the Cosmos. He said, the ‘old fellas’ know and we should respect and listen to what they have to say – before it is lost. He assured us that the Hieroglyph site was an Ancient Egyptian Tomb, that had been interfered with, but further examination would still reveal residual evidence that Ancient Egyptians had come on boats 4,000 – 5,000 years ago. He did not like mentioning time because scientists had different ways of measuring past time. He said the clever ones of the Aboriginal People held the knowledge of the earth’s creation and that the early visits from the Egyptians were a pilgrimage to learn from them. 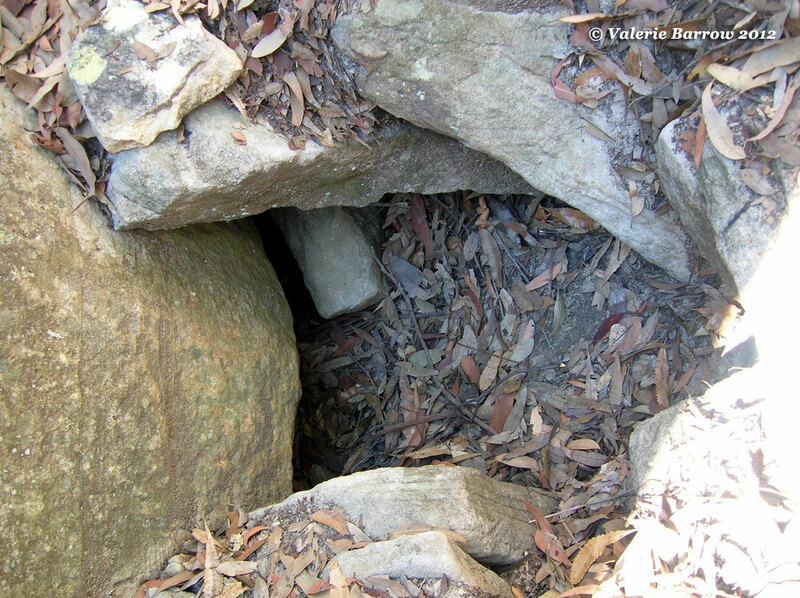 Air shaft said to lead to a tomb – filled in. Click the image to view a larger version. He went on to once again remind us that the Earth was not only a 3rd dimension world but also 4th dimension world, which is the next world and that the clever fellas could walk in and out of those dimensions while on Earth. He said they also had abilities to manifest things or to make them disappear. And that when walking into the next world they could disappear in front of your eyes and reappear elsewhere. 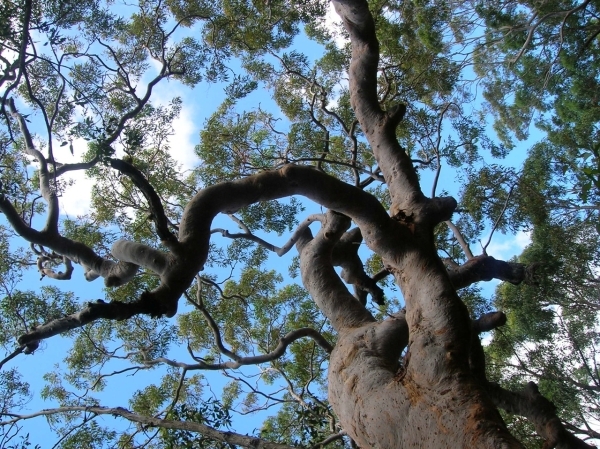 Photo of the ‘Grandmother Tree’ – hundreds of years old. 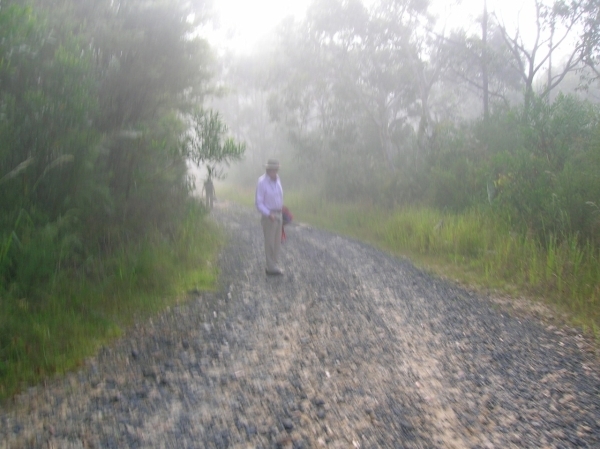 John Barrow in the mist at Kariong. If you wish to read more about Alcheringa when the first ancestors were created you can read it as an eBook called, Star People Revisited. This tells the entire narrative as outlined by Alcheringa. 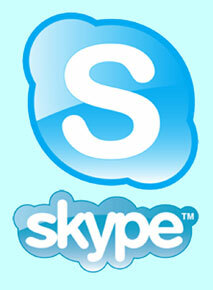 It is the same story for only $7.00 AUD sent anywhere in the world. If you would like to be kept informed, here is a link to my Facebook Page.